School has been out for a while, and if you haven’t already, it won’t be long until you start to hear your kids complaining they’ve caught the summertime boredom bug. Just because school is out doesn’t mean your son or daughter should stop learning however! While no one enjoys it, disciplining your child and letting them know who is in charge is an important part of parenting. If you have a strongwilled son or daughter, you know just how difficult it can be to avoid conflict while defining these important boundaries and limits. Choosing the right childcare center for your child is often a much bigger decision than parents seem to realize. The right childcare center and staff can help foster your child’s development and growth, providing you with peace of mind knowing that your child is in good hands. As parents, we always want to do everything we can to instill our children with the right values and traits that will help them throughout their life. Every parent’s goal is to raise a child that is intelligent, thoughtful, caring and successful, but this goal doesn’t come easy. As a parent you are your childs first teacher, Whether you have a preschooler who is learning the basics of colors and counting or an elementary school student who requires help with their homework—consider the tips below on how to promote learning throughout your household. If your toddler currently stays at home with you during the day, or attends a child care center with no focus on learning while you are at work—you may be wondering what the benefits are of selecting child care that provides early education preschool services for your toddler. Below we take a closer look at the primary advantages of sending your child to preschool. Summertime is a great season for getting some fresh air and outdoor activity with your child. Doing this may help to keep your young one healthy and welladjusted. Engaging in outdoor activities with your child can also provide you with an opportunity to promote learning. If your child is enrolled in one of the quality Pittsburgh or Connecticut child care centers available, playing outdoors can serve as a way to complement the lessons taught by such preschool activities. It's always important to spend time with your children, but that is sometimes easier said than done. In a lot of ways, children are more independent than ever before. They can and do amuse themselves with television, video games, computers, and even mobile devices. Parents, who have to work fulltime jobs (or sometimes more than one fulltime job), are either not home as often as they would like or too exhausted to spend time with their children. Education begins long before your child heads off to kindergarten. Once they are in school parents continue to play a vital role in their lifelong learning. Below are just a few ways to help keep your child engaged, even if they are still quite young. Albert Einstein once said, “Play is the highest form of research.” Though we may not always see it right away, taking a little bit of time each day to escape and play is crucial to our brain’s development, especially during our childhood years. Interacting and playing with both peers and adults presents an immense amount of learning opportunities for young children. Even toddlers and infants reap the cognitive and emotional benefits of interacting with others. The right socially interactive environment will help children develop strong language skills, creativity, social intelligence, and confidence. As parents, it’s easy to become overly concerned when it comes to your sick child. However, the morning rush often leaves little if any time to determine just how severe your child’s cough, cold or illness really is, forcing parents to make the difficult decision about when to take your child to childcare and when to help nurse them at home. Would you like to find a school in your area? Interested in a career with Tender Care? Tender Care is a Pennsylvania and Connecticut state-licensed child care and early childhood learning organization, an accredited member of NAEYC, PennAEYC, CAEYC, HAEYC, and PACCA, and is Keystone STARS rated. Tender Care Learning Centers has committed to accreditation from the National Association for the Education of Young Children (NAEYC) as the measurement of our program excellence. NAEYC is the nation’s largest and most influential organization of early childhood educators, and is dedicated to improving programs for children from birth through third grade. NAEYC sets the standards for quality childcare and education in America, with an emphasis placed on the quality of interactions among teachers and children and the developmental appropriateness of the curriculum. The Keystone STARS program validates what Tender Care Learning Centers have been doing for many years. Your child's Early Education is critical to his/her development and future success in school and life. 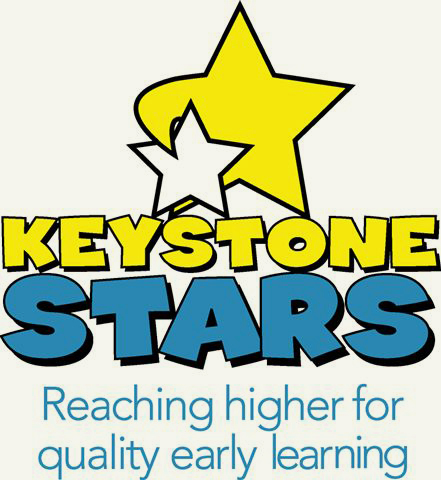 Keystone STARS sets requirements for early childhood educators to promote the best learning environment and safest setting possible for your child. As a parent, feel confident your child is safe and respected, is learning new things every day, and is well prepared for future success in life. © 2018 Tender Care Learning Centers.